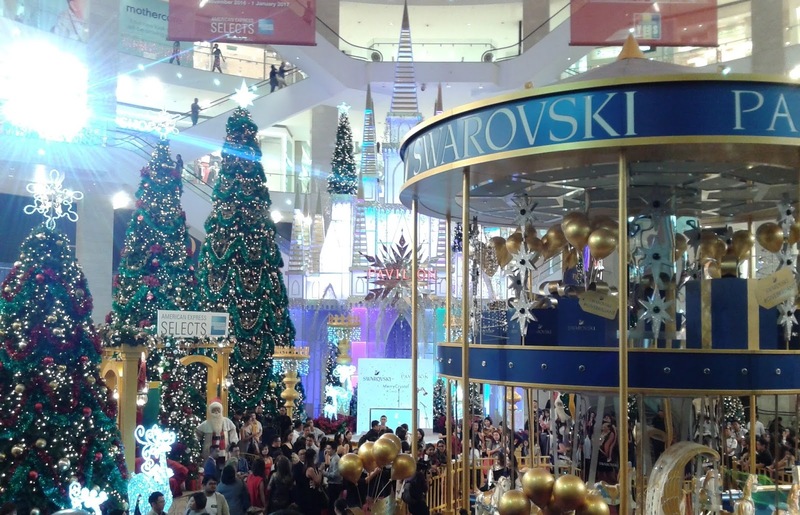 The world's first Swarovski Crystallised Merry-Go-Round in Pavilion Kuala Lumpur. The structure is decorated with three million pieces of multi-faceted illuminating crystals and accents of gold and blue, the key colour elements of Swaroscski's 2016 Holiday Collection. It weighted nearly four tonnes and nine metres in height. The Swarovski Crystallised Merry-Go-Round is fully functional with ten horses, two sleighs and one carriage on board. Each ride is priced at RM10 and part of the proceeds will be donated to Charity at Heart, Pavilion KL's CSR initiative. It will be available until 1 January 2017.